There is a theme that has been going on in fashion, home decor and lifestyle for a while now. The style of the rustic life of the cowboy has been raising a lots of dust. The American cowboy and the old west in the U.S. when the country was still quite young. It's hard to imagine that the United States has only been around since the 1700's. It seems much longer than that. The last Saturday in July is the day of the Cowboy. It is a day that honors the cowboy and his and her way of life. Yes, I said her as I think just like everything else there are women out there on the range working side by side to keep up the lifestyle that so many have left behind. Take some time out of your busy schedule and visit a rodeo, re-enactment, eat some cowboy food or do one of the many activities out there that honors the cowboy. I thought I might offer you a great western cowboy style recipe to help you start the meal off right. Sprinkle steak pieces evenly with salt and pepper. Heat oil in 6-quart saucepan over medium-high heat. Add steak, onion, garlic and chili powder. Cook 5 minutes or until steak is browned on all sides and onion is tender, stirring frequently. For a variation, add a chopped red, yellow or green bell pepper after steak is browned. Cook and stir until crisp-tender. Add remaining ingredients and finish as described in recipe. May replace the can of tomato paste and 1 cup of water with 1 can (15 oz) Hunt's Tomato Sauce. If you have read my blog long then you know that I grew up in a small town in Central Illinois. One of my friends, was a girl named JoAnn who during her early teen years started taking care of her mom. Her mother, was plagued with mental illness and also afraid to travel outside of the apartment that they lived in. Her mothers condition meant that JoAnn had to do all the errands that needed to be done outside of the house as well as take care of her mom as she was often in bed sick. That is just one example of younger parents taking care of their parents. It is estimated that one of every eight Americans aged 40 to 60 is both raising a child and caring for a parent. Another 7-10 million adults are caring for their parents and live a long distance away. Individuals age 65 or older will double by the year 2030. 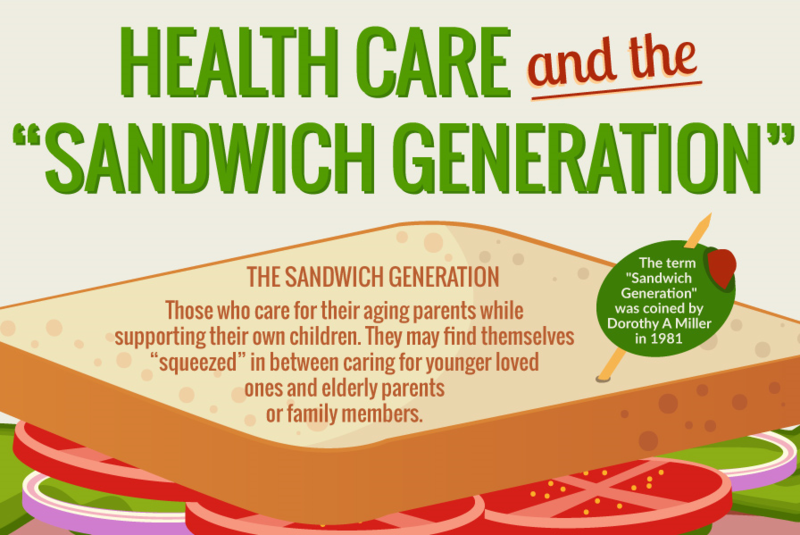 Many times poor economy has led to the sandwich generation being more visible. Many young post college kids return home to live with parents or are living with their parents through college. Parents in these circumstances freel a responsibility to help their children as we all want to see our children be successful. At the same time their parents have reached an age where they need more help as well. Daily functions such as medical services, supervision, medication, financial help, legal help and simply being their through emotional issues is where some individuals may need to help parents. One of the best thing to do is to get organized. If you know what your next step is life often gets easier. Take some tome plan ahead and keep control of your life. Appointments should be taken note of immediately. A daily agenda is also very helpful for running errands, paying bills, keeping appointments etc.. There are many websites and books that can help you with meal planning , keeping an organized list of supplies on hand will help save you for those unexpected times as well. Planning ahead can help relieve stress and helps you feel like you have more control. Life is not always easy, thats a given. For those that are part of the Sandwich generation it may be even harder at times. For example, the telephone rings and on the other end is a list of instructions and demands that must be done "right now" Stress may overcome the moment and allow panic to come in. Take a moment take inventory of what is going on at the moment, is it a true emergency that someone needs help because they are in danger?? If it is not a crisis try to figure out where it can be worked into your busy day. To avoid such issues when it comes to things that occur commonly if possible ask if errands can be given to you a few days with prior notice. By meeting the needs of individuals you care for while keeping healthy boundaries should help all. The best thing for you to personally do is to find something that allows you a few moments of relaxation. Whether it be through prayer, meditation, art, music or even a computer app try to take time to do that daily. Stay in the now without regrets. We love both our aged parents as well as others and our children at home. Make memories through out life , every day don't wait til the time is gone and all that remains is regrets. Take time to smile, laugh and enjoy life. It is so easy to get caught up in all that goes on that we forget how wonderful these individuals are to us. Our time is limited , make wise choices so that a balance can be found in our sandwich generation life. Fragile X is a genetic condition that can cause delays in the areas of learning, language and social skills and has been known to cause autism. At times if an individual with fragile x becomes excited or anxious you may hear speech or see behaviors that are unusual. Most children with FXS look the same as other children and enjoy doing the same things as their friends and associates as well. 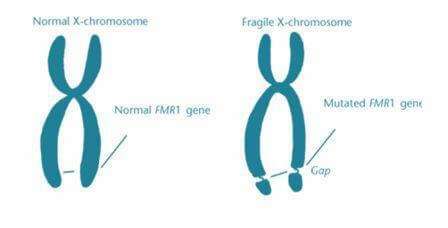 Fragile x syndrome can cause a range of developmental problems that include learning disabilities and cognitive impairment. Often boys are more affected by this disorder than girls are. Conditions of delayed speech development by age of 2, mild to moderate intellectual disability have been seen to occur with those that have fragile x. Likewise, anxiety and hyperactive behavior are often noted. Physical features often can be seen on most males and about 1/2 the females that suffer from fragile x syndrome. These features include long and narrow face, large ears, prominent jaw and forehead, unusually flexible fingers, flat feet and in males may include enlarged testicles after puberty. Stuffed Cabbage or Goliabki as it is known in other countries is a cabbage roll that is common in Polish cuisine. Made using a cabbage leaf that has been soft boiled that is then wrapped around minced pork or beef, chopped onions and rice. 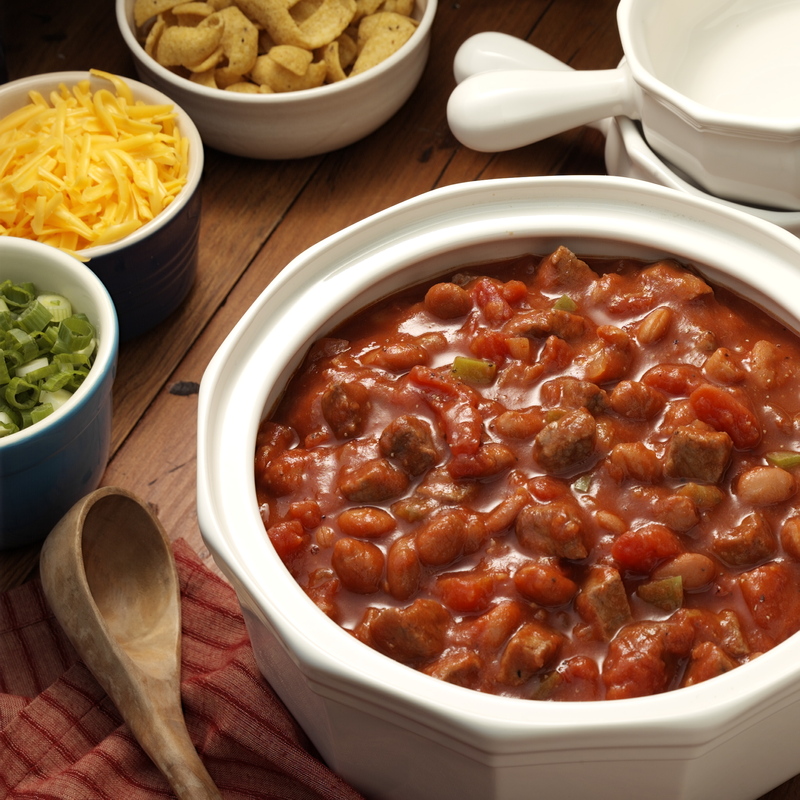 This casserole can be baked, made on stove top or even in the slow cooker. Parboil cabbage leaves for 5 minutes. Combine beef, bread cubes, onion, eggs, salt, pepper and garlic salt. Form meat into oblong patties. Place a meat patty onto each cabbage leaf. Roll up the cabbage leaf and fasten with toothpicks. Place stuffed cabbage into a skillet and add tomato sauce. Work around the house can cause great eye damage if protection is not used. Yard work such as mowing the yard , trimming the weeds and using the leaf blower can throw dust and debris into the air. If the dust or debris blows into the eyes it can cause eye injury damage. Likewise, using household chemicals to clean the house can lead to damage. These chemicals include but are not limited to drain cleaners, bleach, oven cleaners and battery acid. If any of these chemicals splash into the eye injuries can take place. 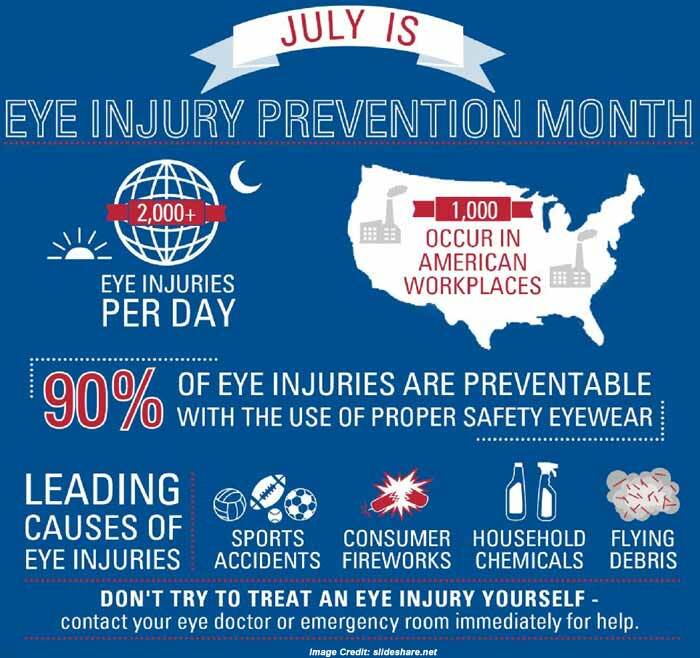 Wearing appropriate safety equipment can help you prevent eye injuries that may occur. Safety goggles should be worn whenever you are working with chemicals, in a workshop or when doing outdoor chores. Perhaps, the worst damage to your eyes is exposure to bright sunlight. This may lead to risk of developing cataracts, age related macular degeneration or growths on the eye which may include cancer. It is important to wear sunglasses with 97 to 100 % UV protection whenever spending time outside. Sunglass styles that wrap around the temples will help to prevent sun's rays from entering the sides as well. wearing safety glasses, goggles or face shields when hammering nails or metal work with power tools or chemicals. Knowing how to flush hazardous chemicals out of ones eyes if it may occur as well as knowing the location of nearest shower or sink. wear protective eyewear when participating in sports such as hockey, racquetball or paintball. 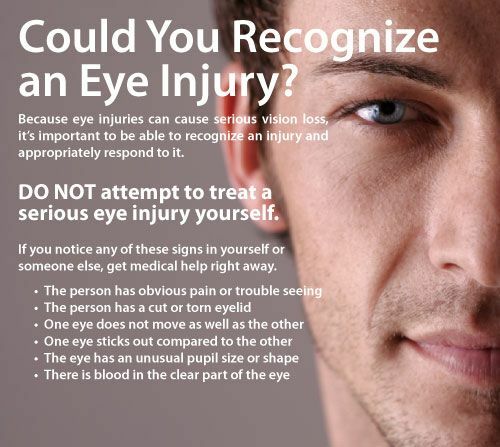 Did you know that baseball is the most common sport to cause eye injuries?? In fact, a laid back sport such as fishing has its risk of eye injuries. The cartoon "Bugs Bunny" has changed over the years. The earliest version of the character showed a character that was smaller, with a voice that sounded more like Woody Woodpecker. The character first appeared in "Porky's Hare Hunt" April 30, 1938. The cartoon strip introduced Elmer Fudd as well. The character Bugs Bunny was born in Brooklyn, New York July 27, 1940 near Brooklyn Dodgers. Tex Avery directed the cartoon strip "A Wild Hare" that was released July 27 , 1940. Elmer Fudd and Bugs Bunny were in their role as hunter and tormenter. The line "Ehhh What's Up Doc" also appeared. The toon received Academy Award nomination for Best Animated Short Film. World War II would see Bugs Bunny made into a star by Warner Bros. Bugs appeared with Porky Pig and Elmer Fudd in 1942 US war bond commercial. He was showed going up against the Japs and Hitler in cartoon strips during 1944 and 1945. Bugs Bunny has been in both short films as well as feature length films. In fact he has appeared in more films than any other cartoon character in History. Bugs Bunny in fact is the ninth most portrayed film personality in the world. You have been blessed to have aunts and uncles in your life My mother had 2 sisters and 2 brothers and I felt very loved by all of them. My aunts both wonderful cooks and my uncles hard working farmers. My dad he had 1 sister and 1 brother I was not as close to this side of the family but I did know them and they did love me but they were older than my dad and not as close. It really does not matter how many aunts and uncles you had as it is the day to celebrate each and every one of them. It is Aunts and Uncles day, a day to honor some very special relatives. The list goes on and on Today take some time to show your aunts and uncles how much you care about them. Plan a visit or a simple phone call I am sure they would love either. My son is a bagel eater for sure. He loves them with cream cheese in the morning and at lunch and supper he uses them instead of bread to make sandwiches. His favorite food , the bagel is celebrated during National Bagelfest Day each year on July 26th. The bagel is very popular in the USA and Canada. 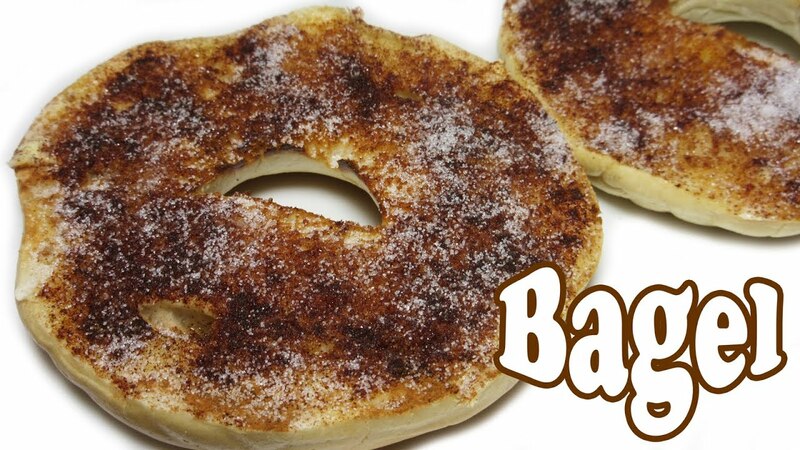 The bagels crunchy outside is desired and the middle of the bagel is often topped with a variety of flavors Bagel shops everywhere are popping up selling the beloved bagel to communities in many places around the country. The bagel was brought to the United States via the Polish Jewish immigrants that set up business in New York City as well as other places around the boroughs. In 1907 the bagel makers organized the INternational Beigel Barkers Union. 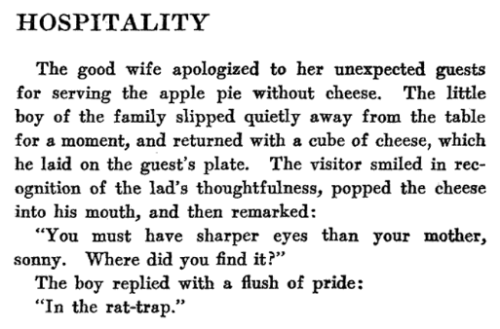 In the 1960's a man named Daniel Thompson made work easier for bakeries that made bagels. He invented a way to manufacture the bagel rather than put the work into the handcrafted bagel. Shortly after the introduction of this method the debate of which matter of making bagels was the best. As time went on a bagel baker named Harry Lender and his sons Murray and Florence would help introduce the bagel to the rest of the United States. An automated production and distribution of frozen bagels was introduced during the 1960s. A second invention during this time was a way to pre slice the bage. 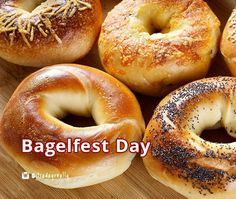 National Bagelfest day was founded by the owner of the Lenders Bagels Murray Lender. The festival, started in Mattoon Illinois in 1986 is also the location of the largest bagel factory. The bagel is the second cousin twice removed from the donut. The bagel is healthier than the donut. The early Egyptian version saw the bagl boiled before baking it. Through this process the bre grew dense and harder but it was also hard to shape Th jewish people would take this recipe with them as they escaped Egyptian rue. Not only did the Jews migrate to Poland but so did the Germans. It was around the 14th century The Polish community welcomed the Jews that migrated to their country and were allowed to bake in the country as well. In the Jewish community the bread needed to be boiled in order to purify it. Their diet restrictions demanded the ritual. The Germans possessed knowledge of pretzel baking and brought the thick bread style with them to Poland. The German knowledge as well as the Jewish cooking methods created what is known as a bagel today. Place bagel in toaster and toast as desired. Over medium heat, fry egg in frying pan. Turn off heat but, leave pan on burner. Place meat on top of egg and then the cheese on top of the meat. Cover with a lid and let the heat melt the cheese. Place egg, meat, and cheese pile on one half of bagel and top with the other half. 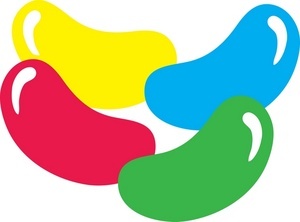 Today is Jelly Bean day. Jelly beans are among my favorites in all candy. Jelly beans were created in the United States but the true original creator is not known. They are thought to be a combination of the Turkish delight treat so many love and the shell of the Jordan almond. Did you know that they were the first candy to be sold by weight rather than by piece. However, before that they were sold by color. I can only imagine that this has something to do with their small size. Jelly beans have been in many different eras and places since their beginning. Jelly beans were present during the civil war to the Union Soldier. They were even present during inauguration of an American President, Ronald Reagan. 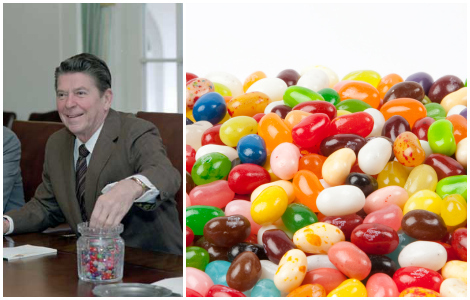 Reagan loved jelly beans and credited them for helping him stop smoking. Reagan kept a jar of jelly beans on his desk while governor of California so it was no surprise when he celebrated being elected to the office of American president. His personal favorite flavor was licorice but the colors invited to the inauguration party were none other than red, white and blue. Jelly beans have ever been to outer space. In 1982 jelly beans traveled to outer space on the challenger. In addition, if you visit Ronald Reagan's Presidential Library there is a portrait of him made with around 10,000 jelly beans. It takes between 7 and 21 days to make jelly beans. Each year in the U.S. 16 billion jelly beans are made and sold. Jelly Beans have a long shelf life as well, lasting between 1 to 2 years. Jelly beans are so loved by both children and adults that there are two days that jelly beans are celebrated. Today, July 24th and again in April. July 31st will once again be a day with jelly beans as part of the theme, Jumping for Jelly Beans Day. Did you know that jelly beans were once a candy created for Christmas?? It was not until after it was noticed that they resembled eggs that they became a treat that was perfect for Easter. Easter is now the top selling holiday time for jelly beans. Dieters === Here is a treat that you may want to exchange your calories for. One can have 35 jelly beans for 130 calories or 37 grams of sugar. If you are dieting and have a sweet tooth this is the area to go. Jelly beans are also gluten free, dairy free, peanut free and fat free. Amelia Earhart was a famous American aviation pioneer who disappeared over the Pacific Ocean July of 1937. While supposed dead by many others raise the possibility that she lived and was captured. 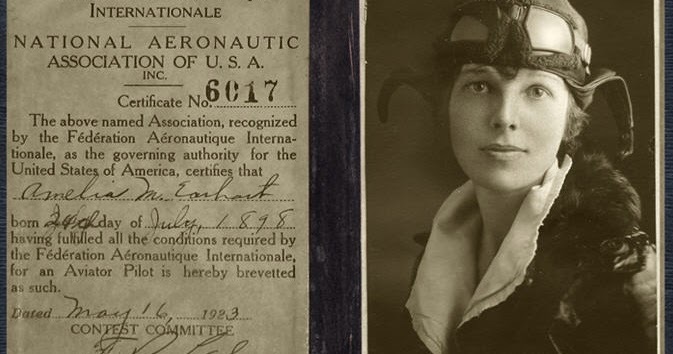 No matter the truth it is true that Amelia Earhart left a lasting impression on the world. Born on July 24th 1897 Amelia Mary Earhart would become famous when she would fly solo across the Atlantic Ocean on May 20th 1932. As the first woman pilot to complete such a journey she would inspire women for generations to come. During her lifetime Amelia would accomplish many other acts as well. 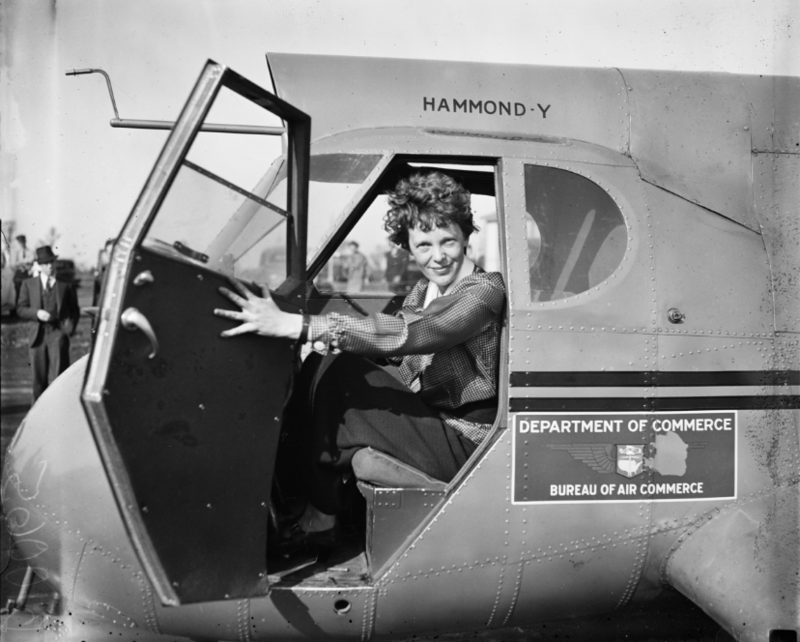 She would be a best selling author as she wrote about her flying experiences, help form an organization for women pilots known as the Ninety Nines, work at the Purdue University in the aviation department as a visiting faculty member. There she would counsel women on careers and help inspire others with her love of aviation. Mrs. Earhart would also become involved in politics as she was a member of the National Woman's Party and supported Equal Rights Amendment. The disappearance of Amelia Earhart's plane resulted in the largest search and rescue operation to date. It also sparked rumors as to what caused the disappearance. To this day, theories and speculation still exists about the cause of the disappearance. Some theories involve conspiracies, and even alien abductions. Having a busy day and still have to get supper on the table?? Have you ever thought of having take out on nights like this?? While we do not do it often I must say that it has occured. The drive thrus allow you to multitask and still get supper on the table. 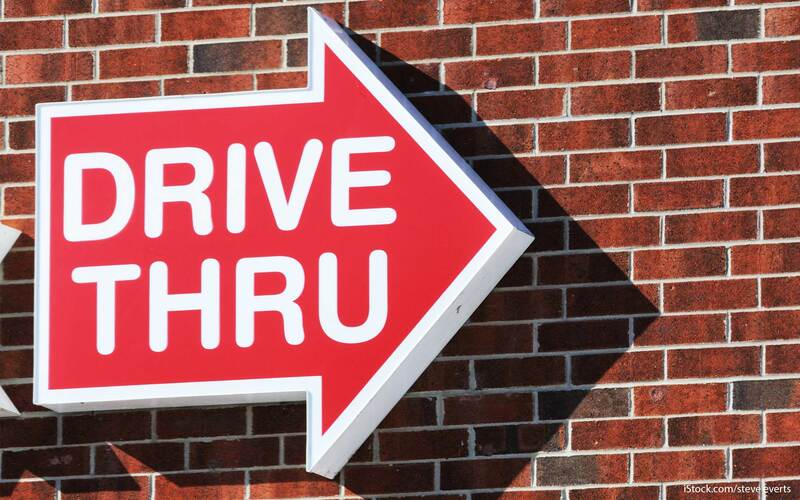 Today, July 24th is National Drive Thru Day. Today in 1947 the first drive thru restaurant opened. It was not one of the popular drive thru's like Sonic or McDonald's. The drive thru went by the name of Red's Giant Hamburger, located on Route 66 in Springfield Missouri. In the late 1940s the In n Out Burger opens serving the famous burger that the drive thru was named after. It was not until the early 1950s that the famous Jack In The Box opened their drive thru business. It was first opened in San Diego and is the story behind the first Drive Thru Day. It was not until the mid '70s that the red headed clown and the drive thru McDonald's opened. The first McDonald's drive thru was in Sierra Vista Arizona. Starbucks has both rewards and discounts, free drinks using the Starbucks Reward Card and free drinks while at the restaurant as well as a birthday treat. Cousins are often fun to be with. They may be far away or near but they can often be your best friend. They are there to share your secrets but you will not get into trouble if you don't share all you have. 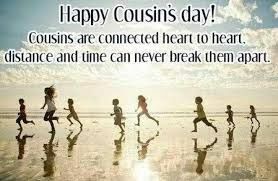 Today, is the day to celebrate the special bond that cousins share. 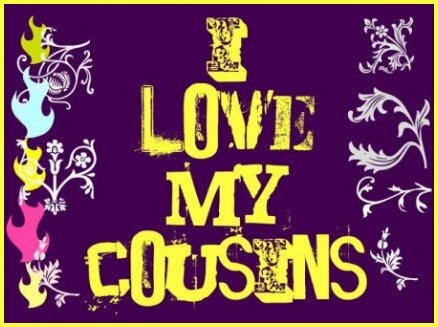 Cousins share an ancestor but also refers to children of our aunts and uncles in genealogy. Cousins are named through generations. For example first, second or third cousin. First cousins are children of siblings in other words they are your uncle and aunt's kids. The second generation are cousins of cousins kids and the generations go down from there. The term once removed refers to two individuals not from same generation that are related. This would include first cousin once removed to describe the relationship between a person and the children of his or her first cousin. Your first cousin's child will be your first cousin once removed is also used to refer to a parent's first cousin. Think about it this way, once removed is the separation of one generation between the two relatives. Today we celebrate the special times these three spend together. Cousins by birth, friends by choice. I have watched each of them grow and their bonds grow stronger as well. The leader?? Depends on the day, and what they are doing. They all always seem up to a challenge. One day they may watch movies and eat popcorn, later they may be in the yard playing ball or frisbiee and later well... who knows they stay active most the day. When an outing comes out you can be sure that they will be together making sure whether through tattling helping each other or asking for help you can bet that the trip will be eventful and fun. Peanut butter and chocolate have both been popular since the day of the Aztec. A legume ground into a paste made into a delicious spread. Chocolate has it's own appeal as well. The aztecs would use the peanut to make tooth ache spread. Chocolate was offered to the gods and also drank by royalty. Who knows how peanut butter and chocolate first got together, but now that they are together the delicious combo can be found in many different forms. Peanut butter and chocolate cupcakes are amazing, peanut butter cookies drizzled with chocolate are delicious as well. In fact, there has to my knowledge never been a regret that chocolate and peanut butter were put together. Today, chocolate and peanut butter is a day for you to try that recipe where the duo of chocolate and peanut butter comes together. This chocolate and peanut butter recipe also combines bananas. Bananas are the cheapest fruit in the U.S. The recipe is a great frugal treat or snack that is also healthy but indulgent. Peel banana and cut into 1/2 inch slices. Place slices on parchment paper on baking sheet and freeze for about an hour. Place a small dollop of peanut butter on top of each banana slice. Return to freezer and freeze for another 30 minutes or so. In a microwave-safe bowl, melt chocolate chips and a tiny bit of olive oil. Stir until smooth. Spoon some of the melted chocolate on top of each banana/peanut butter slice. Sprinkle on toppings. Return to freezer to set the chocolate, and keep frozen until ready to eat. Sjögren’s (“SHOW-grins”) is a systemic autoimmune disease that affects the entire body. Symptoms of extreme dryness, profound fatigue, chronic pain, neuropathies, lymphomas and involves the major organs of the body. We have all experienced dry mouth, eyes, etc... from time to time but Sjogren leaves one with extreme dryness and fatigue. In addition the disease can often cause problems with kidneys, gastrointestinal system, blood vessels, lungs, lives, pancreas and the central nervous system. It is estimated that as many as 4 million Americans are living with the symptoms of Sjogren's. The disease is one of the most prevalent autoimmune diseases and one that affects nearly 9 out of 10 women. Sjogren's can occur with another autoimmune disease such as rheumatoid arthritis, lupus or scleroderma or it may simply come alone affecting the entire body. Individuals with Sjogren can see their symptoms get worse, stay steady or go into remission without warning. Mild discomfort is often experienced in the beginning with it gradually getting worse. Symptoms may become debilitating and greatly impair the individuals life. This is why it is important to get an early diagnosis and proper treatment The disease has common conditions and symptoms of other diseases and may be overlooked or misdiagnosed at times. The disease was first I.D'd in 1933 by Dr. Henrik Sjogren. The disease can affect every race and ethnicity. There is no known cure for Sjogren's but treatments may help improve various symptoms and prevent complications. 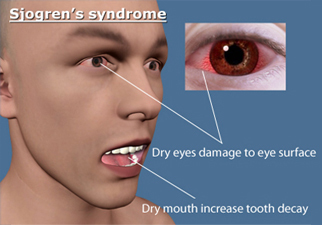 Over the Counter drugs such as eye drops and mouth prep can help relieve dryness. If one suffers from Sjogren's they should see their physician on what medications they should use. The disease often requires a personalized plan of attack designed by a physician, dentist and eye care specialist as it affects so many different systems. This is the tenth year that Auntie's Day has occurred on July 23, 2017 This day honors all aunts and was founded by Melanie Norkin. Norkin is also the founder of the brand Savvy Auntie that is designed for cool aunt, great aunts, godmothers and all who simply love kids. Take time today to thank, honor and celebrate the aunt in your or your child's life. 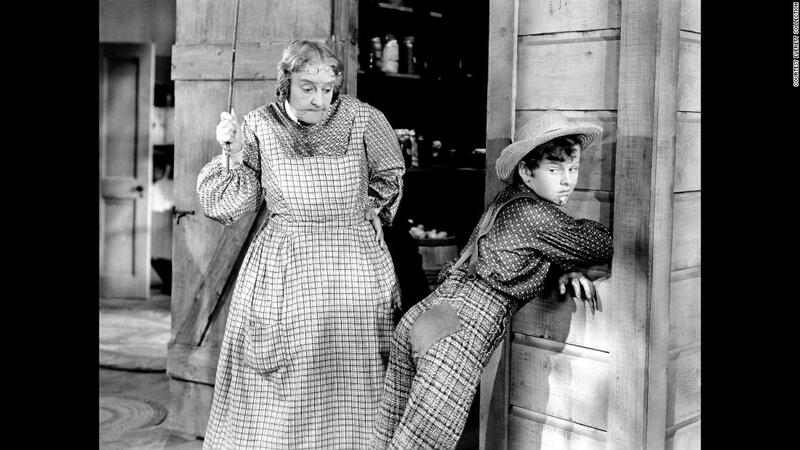 The day is like a "Mother's Day" for aunts. Whether you are a niece or nephew you should celebrate the fact that you were loved by those special aunt's. An aunt can be someone who has been because they are related or someone that simply becomes an aunt because she loves the child like her own. No matter how the relationship was built the day is one to be celebrated. 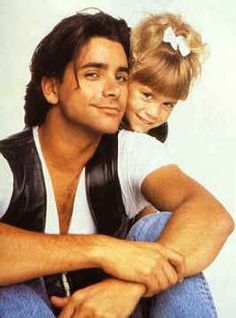 This post is dedicated to my own daughter for always being there for her niece and nephews whenever they may need her. She has went to the fun things, the school and club functions as well as doing the things noone likes to do like sharing bad / sad news as well as correcting them when they needed it. Krystina has yet to start her own family but I am sure when she does she will be an awesome mom that is evident in how well she helps care for the younger generation in our family. These vegan fudge pops are soy-free, gluten-free and oil-free, and taste just like your childhood favorite. Place the walnuts in a food processor and process until fine crumbs form, about 20 seconds. Add the dates and cinnamon and continue processing until everything is finely ground. Add honey and process again to combine. Press the mixture into the bottom of a spring form pan. Rinse out the food processor . Drain the cashews and add to the food processor. Drain the apples, reserving the water, and add the apples, along with 3 tablespoons of the water. Add honey, lemon juice and lemon zest. Process the mixture, until nearly smooth and creamy. This will take up to 5 minutes and you will need to stop a few times to scrape the sides of the bowl with a spatula. (The mixture may still be a bit grainy, as opposed to entirely smooth.) Add vanilla, cinnamon, salt and coconut oil and blend again until combined. Pour into the spring form pan over the crust and gently rap the pan on the counter top to help the filling settle in evenly. Cover and freeze overnight. Transfer to the refrigerator 8-10 hours before serving. Drain the apples, reserving the water, and add to food processor with 2 tablespoons reserved water and the honey. Process to combine, leaving the mixture a bit chunky. Spoon on top of the cheesecake or serve on the side. This healthy snack is easy to make and was recently made by my grand-daughter and her class mates in cooking class for kids. Avocado toast is one of those healthy taste good recipes that can be easily made. Simply toast the bread and spread avocado and top it if you please. Avocado toast is healthy as well. With vitamins C and B-6 included these two together should boost your immune system. Double toast your bread. It should be nice and sturdy. Drizzle it with extra virgin olive oil. Scoop out avocado meat and mash onto toast. Hit it with a copious amount of lemon pepper (or freshly cracked pepper and salt).